Spaces on all courses are limited to the number of reserved internal candidate assessment spaces held for Laurel View students. Please complete and return the All Training Course Booking Form with payment as appropriate to apply for a place. Email to laurelview01@btinternet.com for the attention of Linda. If the dates for any of these training courses have passed or already commenced please get in touch with Linda at Laurel View to register your interest in the next available opportunities, as details are not posted here until after all interested individuals have been notified. A modern approach to riding safely in all environments, Ride Safe is the foundation for any horse and rider to be safe and knowledgeable when riding out in all environments; including on the road and warming up at competitions. Ride Safe provides a comprehensive understanding with practical examples, tips and guidance towards the Ride Safe Award assessment; ideal for all riders from occasional recreational riders to elite equestrians. Ride Safe works to keep you and your horse safe and could even save your lives. The Ride Safe Award (or its predecessor the Riding & Road Safety test certificate) are required before taking the Stage 2 riding assessment. Assessment Fee to be paid direct to BHS, to receive Ride Safe training log book. 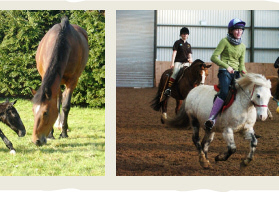 Horse Hire if required: – £15 for Practical Riding session on 20th February. Spring 2019 training dates are Tuesdays 5th & 19th March, Sunday 24th March, Tuesdays 2nd, 9th, 16th & 23rd April. Trainees will also have the opportunity to take a mock care session, for an additional charge on Sunday 28th April from 1pm – 2.30pm. Trainees on Laurel View Summer Stage 1 course will be able to avail of assessment spaces reserved for internal candidates on Tuesday 30th April. This course is intended to prepare candidates for sitting their BHS Stage 1 Assessment. The course will cover all the subjects for Stage 1 and will be made up of 8 x 3 hour sessions (or the equivalent). Each session will include 2 hours of stable management/theory and 1 hour riding. It is also possible to take just the care only or riding only sectors of the training, although priority is given to those taking the full course. By the end of the course, the candidate will understand the basic principles of horse care and have sound knowledge of riding on the flat and over poles. 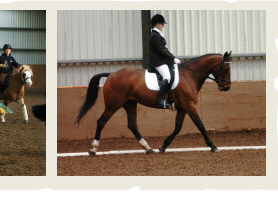 All candidates must be capable of riding a quiet, experienced horse or pony in an enclosed space. Course dates – Mondays 6.30 – 9.30pm each evening, Sunday 3rd March from 12.30 – 4.30pm and Sundays 10th March & 14th April from 10am – 4pm. Spring 2019 dates are Sundays 3rd & 10th March, Mondays 25th March, 1st & 8th April, Sunday 14th April, Mondays 15th & 22nd April. Trainees will also have the opportunity to take a mock care session, for an additional charge on Sunday 28th April, 10am – 11.30am. The Stage 2 course at Laurel View is designed to be taken as a revision course for candidates wishing to take the BHS Stage 2 assessment. The candidates should be regular, confident riders, able to jump to a height of 2ft 6ins and be able to lunge a quiet horse for exercise. It should be noted that candidates for the Stage 2 assessment must hold the BHS Stage 1 Riding and Horse Care & Knowledge certificate or equivalent and have successfully completed either the Riding & Road Safety test or the new Ride Safe Award. Please note candidates must bring their fully completed and endorsed Skills Record to the Assessment Day. It is also possible to take just the care only or riding only sectors of the training, although priority is given to those taking the full course. Training dates for this course are Wednesdays 23rd January, 6th February & 20th February (6pm – 9pm) and Saturday 23rd February (9.30am – 12.30pm). Then Wednesdays 8th, 22nd & 29th May and 5th June (6pm – 9pm), Saturday 8th June (9.30am – 12.30pm) and Wednesdays 12th & 26th June (6pm – 9pm). The Training Course fee is £390. Successful completion of all elements of the Stage 2 Teach, along with the Stage 2 Ride, Care & Lunge equates to the BHS Stage 2 Complete Horsemanship. 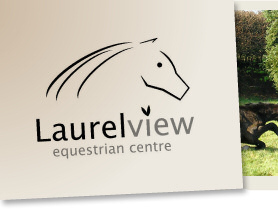 Further qualifications are Stage 3 Care, Lunge, Ride (Dressage), Ride (Jump) – see course details below and also Stage 3 Teach, a course and assessment for this is being planned at Laurel View. Training dates are Sunday 5th May 10am – 4pm; Monday 6th May 6.30 – 9.30pm; Sunday 19th May 10am – 4pm; Mondays 27th May, 3rd & 10th June 6.30 – 9.30pm; Sunday 23rd June 10am – 4pm; Monday 24th June 6.30 – 9.30pm. The course fee is £400, with a £50 non-refundable deposit required to book a training course space. It is possible to take the Care & Lunge training course alone or indeed the riding elements, if this is something candidates wish to consider please ask for more details. This qualification will provide the holder with the competencies and ability to look after up to four horses in stables and at grass in an unsupervised environment, ensuring that horses, stables, yard and fields are safe and in good order. The holder will be able to ride a variety of horses in a variety of circumstances. They will be able to begin to school horses and ride according to the horse’s needs. The holder will be able to ride tactfully and effectively, understanding the reasons for their actions both in horse care and whilst riding. Holders of the Stage 3 Care, Lunge and Riding Certificates will be able to progress to Stage 3 Teach and/or Stage 4 Care, Lunge and Riding. Contact Linda at Laurel View on 028 9083 0649 or preferably email laurelview01@btinternet.com with any training course queries or questions. Please note it may be possible to book training for Riding only or Care only on these courses, please request the course costs and times if this is the case. If you are interested in any of the above courses just print out, complete and return the form below. Please note spaces are limited and only reserved when the course fees are paid in full.